The Lyric Theatre on N. La Brea Avenue in Los Angeles concludes its 2011 season of musicals with the world premiere of iGhost, book by Doug Haverty, music by Adryan Russ, and lyrics by Russ and Haverty. Directed by Jules Aaron, performances begin on May 13, and opening night is set for Friday, May 20 at 8:00. The limited run will continue through June 18. Spirits soar in this contemporary, musicalized spin on the Oscar Wilde classic The Canterville Ghost. 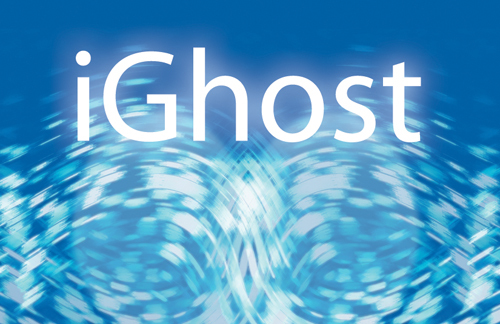 In iGhost, a young artist unleashes bluetooth, wireless wizardry into a haunted castle with bombastic, humorous, and surprisingly romantic results. Creators Doug Haverty and Adryan Russ are also the writers of off-Broadway’s Inside Out. The cast will feature (in alphabetical order) Andrew Appel, Dorrie Braun, Erin Carter, Kayla Dillman, Zachary Ford, Courtney Freed, Matthew Frow, Rebecca Johnson, Tyler Milliron, Bonnie Snyder, R. Scott Thompson, Peter Welkin, and Paul Zegler. Set and lighting design are by J.C. Gafford, costume design is by Angela Eads, and sound design is by Marika Tjelios. Richard Berent serves as musical director, Allison Bibicoff is the choreographer, and the stage manager is Stephanie Boltjes. iGhost is part of the Fourth Annual Festival of New American Musicals. The world premiere production of iGhost will play two preview performances on Friday, May 13 and Saturday, May 14, at 8pm. Opening night is set for Friday, May 20 at 8:00, and the run will continue through June 18 only. The running schedule is Friday and Saturday evenings at 8:00, with added Sunday performances on June 5 and 12 at 7pm. There will be post-show talkbacks with the cast and creative team following both Sunday evening performances. Tickets for iGhost are on sale now and may be purchased by visiting www.brownpapertickets.com/event/169940, www.Goldstar.com, www.lastagealliance.com, or by calling (626) 695-8283. The Lyric Theatre is located at 520 N. La Brea Avenue in Los Angeles, 90036. Street parking is available. 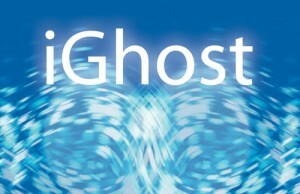 For more information on iGhost, the Lyric Theatre, and the season of musicals, visit www.LyricTheatreLA.com. The Elephant Theatre Company, David Fofi and Lindsay Allbaugh, Co-Artistic Directors, has announced it will present the West Coast premiere of 100 Saints You Should Know by Kate Fodor, directed by Allbaugh, at the Elephant Space in Hollywood. There will be two preview performances on May 18 and 19, with opening night set for Friday, May 20 at 8:00. 100 Saints You Should Know will play a limited engagement through June 26. 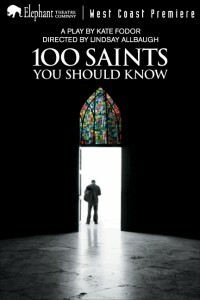 In 100 Saints You Should Know, a priest who must reconcile his desires with his role in the church, a teenage boy confused about his own sexual identity, and a young woman desperate for spiritual validation, are all brought together on one fateful night in which they will discover the tenuous common ground they share. 100 Saints You Should Know is a compelling and heartbreaking journey in search for self in a discriminatory and alienating world. Playwright Kate Fodor is a recipient of the Kennedy Center’s Roger L. Stevens Award, the Nation Theater Conference’s Barrie Stavis Award, and a Joseph Jefferson Citation. The play was originally produced off Broadway in 2007 at Playwrights Horizons. The cast of 100 Saints You Should Know (in alphabetical order) is Brendan Farrell, Kate Huffman, Emma Jacobson-Sive, Marco Naggar, and Pamela Roylance. The set design is by Jeffery Eisenmann, lighting and projection design is by Joel Daavid, costume design is by Louis Douglas Jacobs, and sound design is by Peter Bayne. The stage manager is Laura Perez. There will be two preview performances on Wednesday, May 18 and Thursday, May 19 at 8pm. Opening night is Friday, May 20 at 8:00. Admission is $10 for previews, $20 for regular performances, and $30 for opening night, which includes a post-performance reception with the cast. The regular running schedule is Friday and Saturday at 8pm and Sunday at 7pm through June 26. Tickets are on sale now, and may be purchased by calling (877) 369-9112 or by reserving online: www.elephanttheatrecompany.com. 100 Saints You Should Know will be a part of the Hollywood Fringe Festival, an annual celebration of emerging arts, from June 16-26, 2011. For more information about the festival, go to www.hollywoodfringe.org. For more information on the Elephant Theatre Company, go to www.elephanttheatrecompany.com. Visit the Elephant on Facebook and follow us on twitter @elephanttheatre. The Elephant Space is located at 6322 Santa Monica Boulevard (just west of Vine), in Hollywood. Street parking is available. The Latino Theater Company, in association with Ken Werther, has announced a limited engagement of The Good Boy at the Los Angeles Theatre Center. This new solo show, written and performed by Michael Bonnabel and directed by Darin Anthony, will play two preview performances on Thursday, April 28 and Friday, April 29. The opening is set for Saturday, April 30 at 8pm, and the engagement will run through Sunday, May 22 only. The Good Boy is set in Pasadena in the 1960s, telling the humorous and heartwarming tale of Michael Bonnabel’s struggle to gain independence from his large, loving, and complicated family, which also happened to be led by deaf parents. Told in sign, speech, and song, Bonnabel explores the weight of the adult responsibilities the young boy must face, as well as his yearning to bond with his emotionally distant father. An earlier version of The Good Boy ran at The Bootleg Theater during the later summer and early fall of 2010, garnering audience and critical acclaim. Writer/Performer Michael Bonnabel is a Los Angeles based performance artist with a wide range of theatre, film and television credits, including award-winning performances in Philip Littell’s No Miracle: A Consolation at Playwrights’ Arena and the ADA Best Revival signed and spoken production of Edward Albee’s The Zoo Story at the Actor’s Workout Studio. He has appeared in Ken Roht’s 99¢ Only Calendar Girl Competition, Route 99: Orange Star Dinner Show, Peace Squad Goes 99, and in Robert Prior’s colorful adaptation of Alice in Wonderland, Project: Wonderland at The Bootleg Theater. Other local stage work include productions with Long Beach Opera, West Coast Ensemble, Tiffany Theaters, Highways, the Odyssey Theatre, the Colony Theatre and the Meta Theatre. Director Darin Anthony has become one of LA’s most sought after stage directors. 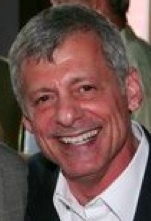 His ever-expanding list of credits includes the critically acclaimed productions of Heads, A Hole in the Dark, and The Book of Liz for The Blank Theatre Company, Talley’s Folly, My Thing of Love and Smudge for Syzygy Theatre Group, Lanford Wilson’s Burn This (Amalgam Theatre), The Boarding House by Ann Noble (Interact Theatre), and Richard Greenberg’s The Violet Hour (Hollywood Food Chain Productions at the Lillian Theatre). Specializing in new works, Anthony has also helmed premiere productions of Sidhe by Ann Noble at the Road Theatre and London’s Scars at the Odyssey Theatre. Other credits include Bach at Leipzig (Odyssey) and US Drag for the Furious Theatre Company, which garnered seven LA Weekly Award nominations, winning one for Production Design. Scenic design for The Good Boy is by John Burton, lighting design is by Brandon Baruch, sound design is by Joseph “Sloe” Slawinski, Rita Cofield serves as production stage manager, and Flori Schutzer is production consultant. Early development of The Good Boy took place under the auspices of The Menander Theatre. The running schedule is as follows: there will be two preview performances on Thursday, April 28 and Friday, April 29 at 8pm and opening is set for Saturday, April 30 at 8pm. The regular performance schedule is Thursday, Friday and Saturday at 8pm and Sunday at 2pm. The engagement ends on Sunday, May 22. General admission is $30, with a discounted price of $20 available for students and seniors. Tickets for the previews on April 28 and April 29 are $20. Every Thursday night, all seats are $10. Tickets are available now by visiting www.thelatc.org or by calling (213) 489-0994. The Los Angeles Theatre Center is located at 514 S. Spring Street in downtown LA.